Brexit is an instrument of global plutocracy to weaken progress, democracy, and the fight against the world oligarchy. So far it has functioned really well, causing a massive mess. The proofs of this keeps on piling up. Here is the latest, a week before the expiration of the ill-advised ultimatum of the EU to the UK. The British Information Commissioner’s Office (ICO) will use its legal powers to obtain information from Facebook about the involvement of creative plutocratic henchman Sir Lynton Crosby in running a secretive network of advertising campaigns on the social network to push for a no-deal Brexit. The ICO will look at how any data is being handled, potentially including email addresses collected while encouraging people to email their MP. 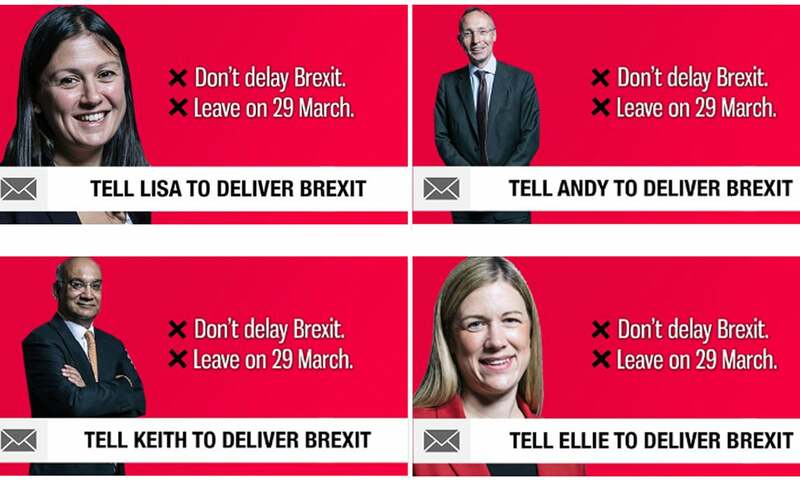 The Guardian revealed on Tuesday how a series of apparently grassroots advertising campaigns for a no-deal Brexit are secretly overseen by employees of the Australian Tory election guru’s lobbying company. Just as Murdoch, the Australian Lynton Crosby conspired to become a British citizen. 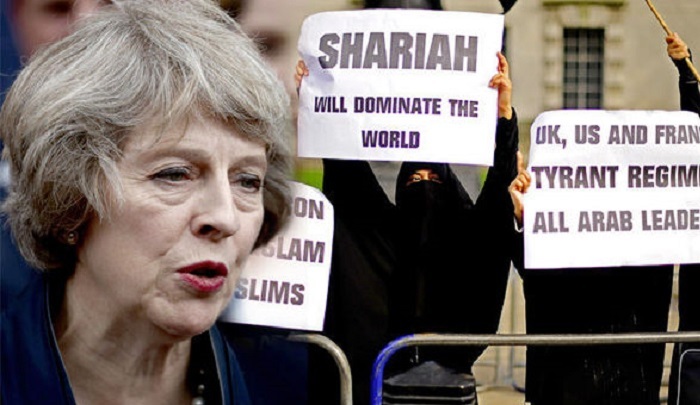 Heavily influence British right-wing politics with dirty tactics, and even to be ennobled. Crosby helped Boris Johnson, ex-mayor of London, co-chair of the Leave campaign, with what Johnson called “dead cats”. Mr. Johnson explained: when losing an argument because the facts are against you, you do the equivalent of “throwing a dead cat on the table“: bring up an issue you want to talk about that draws widespread attention from the stupid populace, forcing opponents to also talk about the dead cat issue instead of the previous issue. Crosby used his new dirty tactics serving fossil fuels and tobacco (Philip Morris). Damian Collins, the Conservative MP who this week confirmed the launch of a permanent House of Commons sub-committee on disinformation, said he would be discussing the Crosby-linked Facebook advertising campaigns with the UK information commissioner, Elizabeth Denham, at a hearing later this month. “We want to understand who is paying for these campaigns, what data they are using to target people on social media, where that data came from and also what they plan to do with the data they are collecting,” he said. In further exploration of the Australian lobbyists’ malfeasance, Facebook is also investigating whether the activities of Crosby’s employees meet the definition of “coordinated inauthentic behaviour”, a term that has been used by the social networking company to justify the removal of Russian and Iranian disinformation campaigns from their site. 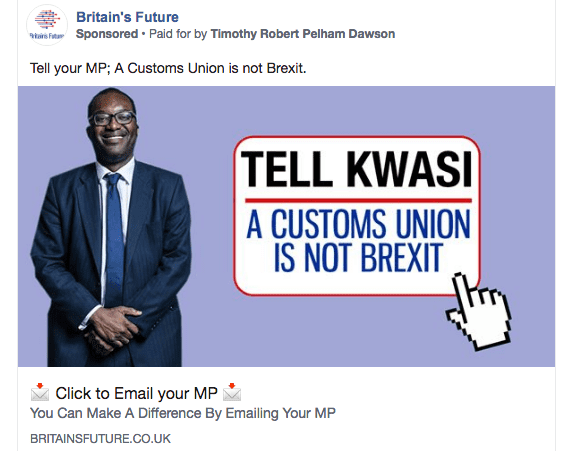 Facebook defines coordinated inauthentic behaviour as when “groups of pages or people work together to mislead others about who they are or what they’re doing”, a definition that appears to apply to the activities of Mainstream Network and Britain’s Future, which are pro-Brexit groups having spent millions of dollars in their pro-Brexit campaign. “When we take down one of these networks it’s because of their deceptive behaviour, it’s not because of the content they’re sharing,” said Nathaniel Gleicher, Facebook’s head of cybersecurity policy, in a video posted last year. Mastering people is mastering their minds. No need for whips with sheep, showing the way is enough. All the way to the slaughterhouse. In the Later Roman Empire, Neo-Platonism came to dominate, as it was fully compatible with increasing fascism. When that was found to still be too rational, and plutocrats still had to pay some taxes, Roman Catholicism was rolled out by Constantine, reinforced by his sons, and made maximally lethal by emperors Gratian and Theodosius I (all this in 60 years; the Occidental empire collapsed). Immediately after Theodosius and his goons invented the concept of “heresy” (not believing in Jesus as described by the emperor), and making it punishable by death after atrocious suffering (like very slow burning), “Men In Black” went all over, destroying all books promoting rationality. Establishing truth is the core of the democratic process, both its fruit and its engine. Macron, president of France, has declared Brexit to be a pack of lies, which it is. The conclusion is to re-establish the truth, and thus to absolutely avoid Brexit. The European Union should bend over backwards to make it so. But,drugged on outrageous lies, factual, emotional, logical lies, the British need more time to change their minds. The EU has to provide it. INDEPENDENCE FROM THE TRIBAL INSTINCT WOULD BE A GOOD THING! July 4th, anniversary of the Declaration Of Independence of the USA from the UK in 1776. Much change then, a slow sinking now. Deep thinking would be the way out, but that would require some effort. Some deplore that the trust in the political system is gone. But that the trust is gone is actually a good thing. We cannot trust a system where a few lead hundreds of millions, if not billions. It was bound to lead to disaster. It did. And what we have seen so far is small potatoes. The best is yet to come. I am watching Actic ice everyday. Still tracking lower than the previous lowest. Even if and when the few leaders come from the People, and especially if they come from the People, one should not trust. Because the less power where they come from, the greedier they are, and thus, the more eager to be bought. Watch Clinton, Bill: obviously in need of wider recognition always, as those who started so small, they feel small always, and so need to pile up the hundreds of millions, just to feel OK about themselves. Within two weeks of the lifting of his presidential immunity, an armada of police, bailiffs and no less than three judges, descended on three places of residence and work of Nicholas Sarkozy. A good thing. Whereas Obama begs the hyper wealthy for money in full sight of the uncomprehending American people, it would be impossible anywhere else. In France financing by the hyper wealthy under the table is frowned upon by the law. Judges suspect that Sarkozy got, under the table, what Obama gets in two hours every time he shows up in the mansions of Silicon Valley, to sit at the tables for all to see, and sleep in all beds… As long as the owner of the mansion forks the money, and brings all her, or his friends, and all these fork the money, too. Two thousand years ago, any grouping of a few thousands Germans got enraged when someone would proclaim himself a king. Now people venerate a handfull who talk as if they could do all the thinking by themselves, and better, than billions. We have democratic institutions to help, true (such as a humanized, republicanized, and constitutionalized army). And these democratic institutions, missing in Athens, do, indeed, help. But they are not enough. Actually, it’s good to remember that these institutions started in Rome, with a very efficient administration, but that, once again, they were not enough. The incapacity to stop the devastation of the biosphere, or the devastation caused by the rampaging financial sector, are proof enough that Pluto is taking over. How bad is it? Very bad. We are experiencing a Greater Depression. Only appearances are doing better than in the 1930s, but some of the most important statistics are worse. See: Greater Depression. The Greater Depression in Europe is so severe that the birth rate is severely collapsing. As a French thinker put it in the 19C: ‘demography is destiny’. This snippet of the declaration of independence is deeply disturbing, because it exhibits colossal insensitivity to Peoples who were just trying to survive to the destruction of their own world, while outrageously turning the tables on them, by claiming that they were undistinguished destroyers (while presumably the authors of the declaration were the distinguished destroyers). After all, it is cities such as Boston which paid money for scalps. A pattern was set in stone: accuse them of what you do, and call them savages. That mood has been much amplified today. The Declaration of Independence of 1776 was just a rebellion, not a Revolution. The Revolution, that is the new Constitution of the republic, was established in 1789, within months of its French equivalent (that was to establish a constitutional monarchy headed by that great revolutionary, Louis XVI). The French constitution gave the right of vote to all (men), and outlawed slavery. it went further than anything Antiquity had known. Not so clearly in the American one (which refused the right of vote to individuals without enough property, contrarily to Rome). It is only from the astounding agitation, encouragement, and giant financial and military support of Louis XVI that the American rebellion succeeded. Otherwise, the USA would have been the southern extension of Canada… That would have had advantages: France and Britain would have stayed masters of the planet (together, as it was, they defeated both China and Russia in the 19C). Civilization is not founded on the market as some of the deranged economists whose thoughts presently reign have tried to make us believe. Watch Obama setting up free market exchanges to solve the health care problem, as if it were the job of markets to care about care! But Obama learned by rote that markets solve all, so he has now profit for solving care. What’s next? Selling babies to those who pay more, because that’s got to mean that, since they profit more, they care more? Civilization is not just founded on the free market profit motive. Look at the Higgs particle, the discovery of which was announced today in Geneva, at CERN. CERN was founded, and persists, as one of these typically French gigantic state institutions to foster human understanding with lots of taxes. CERN the Centre Européen pour la Recherche Nucléaire has been a gigantic success, discovering a lot of new science, while establishing new technology. The free market does not do it all! Brains are deeper! The idea of such democratic institutions, as I said, directly spring from a mood inherited from Rome. But a difference is that Rome did not do research. Rome knew one had to have a society motivated by more than the profit motive. The republican and democratic motives were viewed as more important, and that is why Rome set a powerful army and administration. But Rome had forgotten curiosity and to institutionalize the Will to Knowledge. Europe did not. There is only so much tribalism can do. WHY THE FINANCIAL MESS HAS NOT BEEN SORTED OUT, AND HOW TO DO IT. Abstract: The grip of the plutocracy on the USA is astounding. Right now the economy is collapsing mostly because the Plutocracy has been punishing the People by putting the credit system in deep freeze. The Plutocracy, this Mafia second to none, has every reason to be angry: as 10% of the People is paying mortgage reluctantly, if at all, the super giant pyramid of derivatives that made the Plutocracy so rich has collapsed. Ever since the Plutocracy has endeavored to make the People pay. The Plutocracy controls the bank holding companies, which control the banks. To appease its friendly Plutocracy, the government and its Geithner have been sending the People’s money directly to the Plutocracy. (The New York Times even revealed that the Obama administration had a plan to guarantee hedge funds returns of 20%, if they consented to invest in their little scheme). Obviously, the government knows something we don’t, so, as a precautionary measure, since the original US Constitution had the word “people” capitalized, giving us “We The People“, I should capitalize Plutocracy too. We The Plutocracy? It goes without saying that European countries, those socialist paradises, blinded by their own Peoples, have not been exhibiting the proper respect for the hyper rich. Thus Great Britain has already nationalized 100% several big banks (nearly a year and half ago for “Northern Rock”). 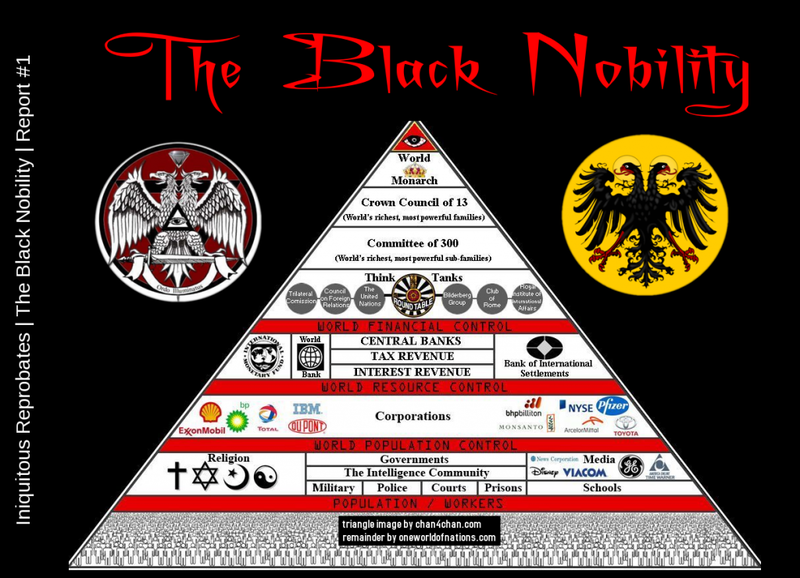 Yet, Great Britain’s Plutocracy, this Mafia second to none, holds the British People into a trance symbolized by the “rule of one” (“monarchy”). Frankly, this is painful, and it is with a heavy heart that one has to look at the truth. But what else is there to look at, when the going gets tough? Sometimes in history things do not turn out as expected. They turn into their opposite. As the Great Depression gripped Germany, millions of honest to goodness, socialist minded Germans, revolted by “plutocrats”, voted for Adolf Hitler, thinking he would bring change for the best (as the Nazis were protesting plutocracy… while secretly bankrolled by said plutocrats!). Average German voters had no idea that Hitler, far from being a socialist devoted to the Volk, was a pawn of the plutocracy. It was inconceivable to those good Germans that most of the greatest backers of the ultra nationalist Hitler, of this anti-American nationalist, were actually American (!) plutocrats. As Hitler started to reign, those (American!) plutocratic influences guided Hitler’s every step. The Obama economic team is confronting a difficult situation. Interestingly, though, in its previous incarnation under the Clinton administration, more than ten years ago, most of that economic team did more than contribute to it: it started the disaster, with fanatical market extremism. Moreover that team has not been taking the right decisions. It is as in a plane crash: too little too late can be as bad as completely wrong in all ways. The stimulus, as a stimulus, was a joke (the real stimulus was no more than 100 billion dollars; not even all the bridges scheduled for collapse are supposed to be fixed! See addendum 2). Certainly if taxpayers voting on November 4, 2008, for Obama had know that it meant the policy of Transferring Assets to Rich People (“TARP”) would have continued unabated, even as the economy collapsed, they may have paused. As it is democracy does not have enough mechanisms to protect itself. TARP has been extremely unpopular all along. But people have no say in extremely bad decisions. The decisions are taken by 3,000 political “appointees”. Appointed by one or two elected officials. The government of the USA has to lift the toxic assets from the banks, and remove the liabilities from the banks. Then the banks will be able to function again. As it is, the banks do not function, and credit is completely frozen. As credit is frozen, the entire world economy is suffering hypothermia. Complete freezing is not far away. The continual drop in economic activity is a disaster that mixes all of society in exploding fragments. Just an example: the city of San Francisco (750,000 inhabitants, and relatively few children) just announced that it would fire more than 500 teachers. The city of San Francisco does not have the money to keep their jobs going. It is like that all over. The situation seems to be this: there are banks, the banks in turn are owned by bank holding companies, which are themselves in turn owned by hedge fund managers, private equity and other elements of the worldwide plutocracy, a Mafia of a size which overwhelms understanding. The Obama people are trying to save the later, the richest of the rich. The view me as a fool, because I think beyond myself. Meanwhile, the world economy needs the banks’ core functions to be restarted. Or there will be a catastrophe, within weeks. The credit system is frozen because the banks themselves are insolvent, their capital requirements are completely violated, they cannot lend without getting deeper in the hole. Actually, they cannot lend, by law. The rescue of TARP money has been given to the bank holding companies, which transmitted very little of it to the banks themselves. The bank holding companies kept most of the money for themselves, the salaries and bonuses of their plutocratic officers, and organized the usual happy events such as mergers and acquisitions. During these events, money splashes all over to the rich and happy class. This is the traditional way to do it. It is traditional to do it even in the USA, where it has been done for thousands of banks before. As Paul Krugman puts it, it is “as American as apple pie”. Bill Seidman’s resolution Trust Corporation did it for 747 banks. Actually apple pie is a dish enjoyed all over the world. This sort of quick solution to the bad assets problem was done all over Scandinavia, and in many other places. One speaks of “nationalization”. But it is a TRANSITION TO LIBERATION of the banks. And these are the words that ought to be used. So, as Professor Doctor Nobel Krugman wonders, why is this not happening? (New York Times, Feb. 21 2009.) Why is the Obama administration leaving the entire world economy in free fall? Well, people advising Obama have worked for banks (Emanuel was making more than eight million dollars a year, in a bank, for example). One can assume that they intent to work for hedge funds, private equity, etc., when they come out of the administration. So they want that system to still be out there when they come out. Geithner was the boss of all the banks in New York. So the Obama advisers are desperately trying to please their once and future masters. It’s a mafia at work, as simple as that. They did not reinstate the short sell rule, so that their friends the hedge funds can keep on organizing bear raids as the stock markets collapse. They keep on having their friends the masters of the financial universe be taxed at a maximum rate of 15%. It’s socialism for plutocrats. Let secretaries and teachers pay the high tax brackets! The Obama economic advisers come up with mumbo-jumbo lip service and weird semantics to hide the plot, conscious or subconscious, to which their nature has fatally led them to. Their plot is that they use the pretext of the banks’ failure to transfer more taxpayer money to their relations, the private equity, the hedge funds, and various overseas investors, all very friendly. So taxpayers send money and the trusted economic advisers send the money to the richest of the rich, and, lo and behold, more has to be sent, because the banks still did not get any. It does not seem to matter too much to Obama’s “outstanding” advisers what happens to the world economy as they try to contrive a way to send a lot of money to their plutocratic friends and colleagues, past and future. When you stand out, nothing compares. But the truth is simple: those “geniuses”, the “outstanding” friends of the Obama advisers, contrived the greatest pyramid scheme, the greatest Ponzi scheme of all times, the derivative system, with a peak value of 600 trillion dollars. The world is worth much less than 100 trillion dollars. No taxpayers of the world can fill that hole for the rich. But still the hyper rich try to have taxpayers fill it for them. The hyper rich had it so good for so long, that is all they know. Let’s notice in passing that some modern and well balanced states, such as France have wealthy capitalists and industrialists, but they do not have as thick a plutocratic layer as the USA. French banks are generally profitable (with profits in the billions for the big ones in 2008). The largest of these banks are as large as large USA banks. The still profitable insurance giant AXA owns the USA’s Equitable, among others, But the CEOs of these French giants are paid 5%, a twentieth, of their USA colleagues. Thus the American plutocratic situation is not a necessity of a modern economy (the French economy is at least as diversified in high technology as that of the USA, and arguably more). The world economy is getting so damaged by the refusal of the Obama administration to fix the banks that a bellicose issue is to be feared. Maybe the vested advisors subconsciously feel that a good war in the future would be the best of distractions. It is so abysmal, abysmal explanations are only natural. The hyper rich in the USA have led the democracy by the nose with their plutocracy. They established for themselves fiscal paradises, places where their money was channeled to escape the IRS. Channeled by the very bank holding companies that have been getting TARP money. Not only is the People getting fleeced, it pays for getting fleeced. What we are facing, what we are contemplating, maybe the world’s largest criminal organization ever, the greatest Mafia, ever . Yes, time for RICO. Addenda: 1) At the peak the part of the derivative system known as Credit Default Swaps, that Summers, Rubin and Greenspan obstinately refused to regulate, were “worth” 64 trillion dollars. (They are particularly sensitive to the collapse of housing.) The reasoning that Rubin and Summers were following was that if derivatives were regulated in the USA, they would go somewhere else. Those guys know some financial words, but they clearly do not know geography. The other great economic power in the world is the European Union, and the EU is cracking down on the plutocracy and fiscal evasion. If the USA and the EU agree, everybody else with (except in outrageous cases like the 300 billion dollars of USA-EU agricultural subsidies). So the truth is very different: derivatives made USA plutocrats hyper rich. No other country was crazy enough to develop derivatives to that extent. Anyway, back in 1998, according to Newsweek, proceeded to “dress down, loudly and rudely” the chairwoman of the Commodity Futures Trading Commission (because she wanted regulations). Literally an old boys network. 2) The stimulus comprises many expenses that are not so, like the AMT (70 billion, always budgeted, and not a stimulus anyway), and huge payments to states to compensate in part for collapsing state budgets. There is eight billion dollars for high speed rail, enough for 100 miles of one high speed line in a flat plain. For the entire USA. That was added at the last second, to look good.